A little while back I received a package from MILV Art with a whole bunch of different water decals. 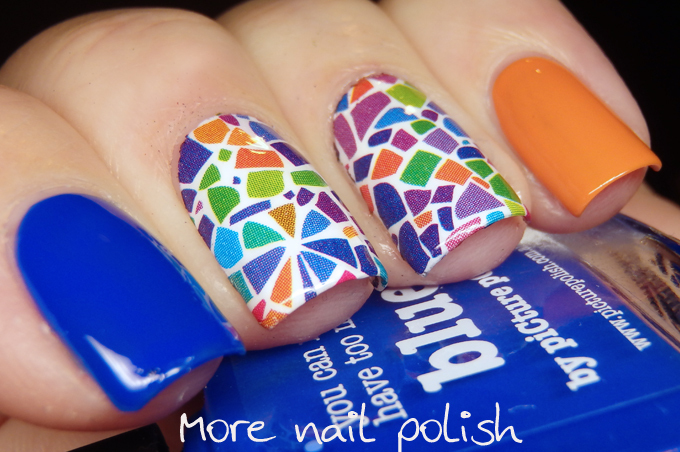 Now the truth is I already had a whole much of MILV water decals that I had purchased through Picture Polish, and I actually can't recall if this one that I purchased or one that was sent to me, but either way, it's such a great decal. 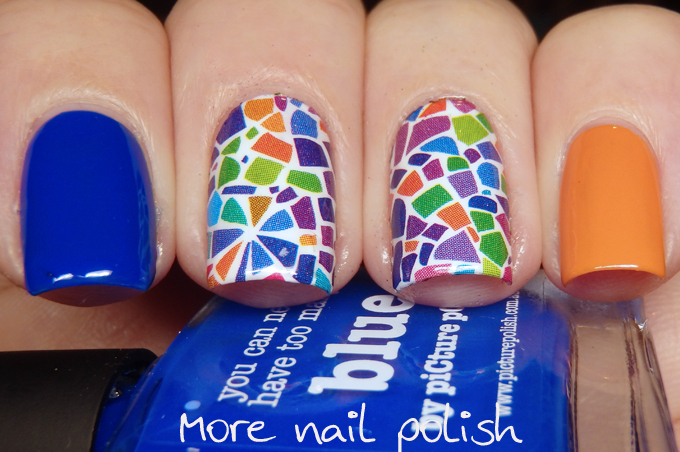 I really love using water decals to create nail art looks that are really difficult to create with stamping. I possibly could have done something similar to this by creating stamping decals, but there is no why the lines would have been this crisp. 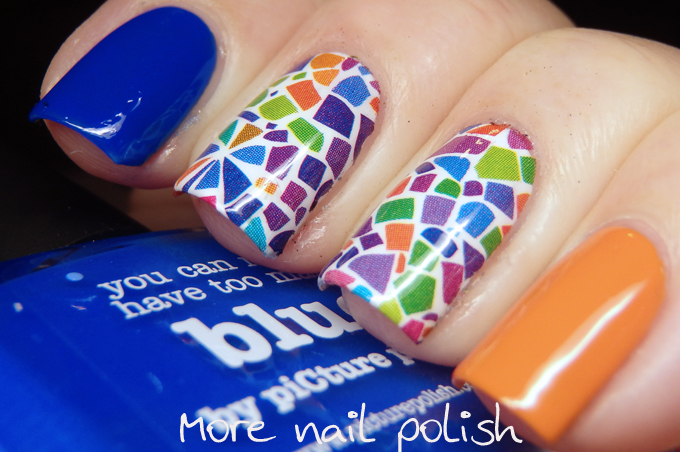 Rather than creating a whole mani using this pattern, which would have been a little intense, I pared it us with Picture Polish Blue and and OPI Orange you stylish. This was the first time I'd worn Picture Polish blue and I have to say I'm a big fan. It's in the same colour family as Sally Hansen Pacific Blue, which has become quite the collectable polish, and I also have a similar blue shade by Ulta3 called Blue Marlin, but the formula on this one is soooo much better, it's two simple perfect thin coats. Gorgeous! Each and every nail is sheer beauty. 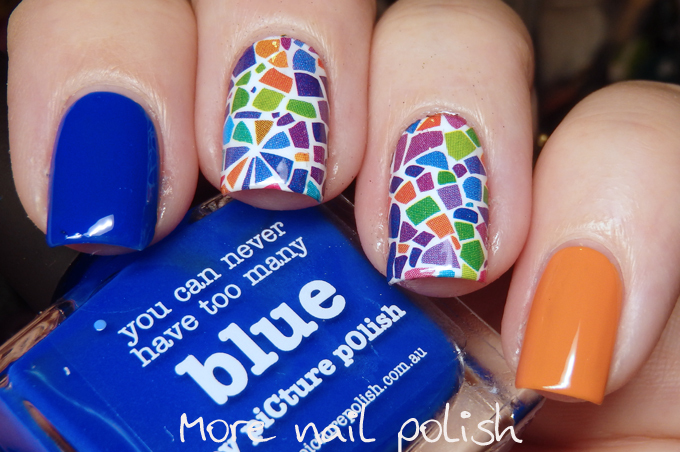 This may be my fav mani ever!